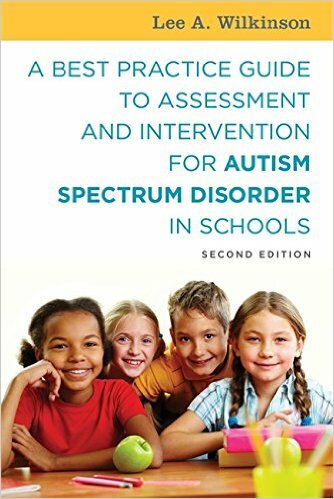 Palm Beach County School District psychologist, Lee A. Wilkinson, PhD, will be present a workshop, Autism Spectrum in Schools: Assessment and Advocacy, at the fifth annual STatewide Advocacy Network on Disabilities (STAND) Pinellas Accessing Resources Conference (SPARC) on September 24th, in Largo, FL. The SPARC 2011 Conference brings together exhibitors from across the nation to showcase the best resources available to special education advocates. Professional educators, therapists, psychologists, and parents alike will have an opportunity to learn about resources beneficial to special needs students as well as all children. Attendees can choose from 60 different breakout sessions, browse more than 150 different exhibitors, earn credit toward professional license recertification, and meet representatives from state, regional and local organizations. A research study published in the journal Pediatrics suggests that nearly 1 in 5 children who have an older sibling with autism will also develop the disorder at a rate much higher than previously thought. Earlier estimates put the risk at between 3 and 10%, but a new study found a substantially higher risk rate of 18.7%, on average. Researchers in the U.S., Canada and Israel followed 664 infants from 12 US and Canadian sites who had at least one older brother or sister with an autism spectrum disorder. 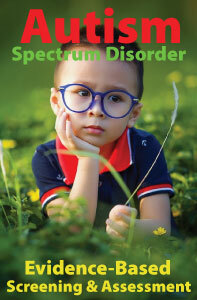 Overall, 132 infants or approximately 19% received an autism diagnosis by their third birthday. The highest rates were in infants who had at least two older siblings with autism – 32% also developed the disorder. Boys were nearly three times as likely to develop autism as girls, with a recurrence rate of 26.2% versus 9.1%. The study has important implications for both parents and professionals. Families and primary care professionals should be especially observant with infants whose older siblings have been diagnosed with an autism spectrum disorder. Early identification and intervention are critically important to outcome. Ozonoff and her colleagues comment, “The red flags identified should be followed by immediate referral for infant intervention rather than adopting a 'wait-and-see' attitude because early specialized intervention is considered best practice for ASD and may represent the best hope for reducing symptoms and overall disability in high-risk infants who are developing ASD." Ozonoff S, et al. Recurrence risk for autism spectrum disorders: a baby siblings research consortium study. Pediatrics 2011; DOI: 10.1542/peds.2010-2825. The fifth annual STatewide Advocacy Network on Disabilities (STAND) Pinellas Accessing Resources Conference (SPARC) brings together exhibitors from across the nation to showcase the best resources available to special education advocates. Professional educators, therapists, psychologists, counselors and parents alike will have an opportunity to learn about resources beneficial to special needs students as well as all children. Earn credit toward professional license sessions. Browse more than 150 different exhibitors. Earn credit toward professional license recertification. Meet representatives from state, regional and local organizations to answer your questions. Because every child deserves a voice! Since Congress added autism as a disability category to the Individuals with Disabilities Education Act (IDEA) in 1990, the number of students receiving special education services in this category has increased over 900 percent nationally. It’s critically important that educators understand the provisions for providing legally and educationally appropriate programs and services for students identified with ASD. 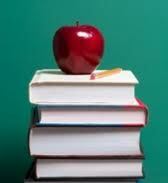 Research indicates that education is the most effective treatment/intervention for children with ASD. The most recent reauthorization of the Individuals with Disabilities Education Act (IDEA 2004) <http://idea.ed.gov/explore/home >entitles all students with disabilities to a free, appropriate public education (FAPE). 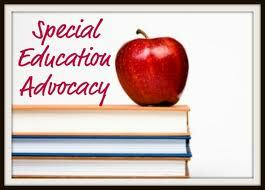 FAPE encompasses both procedural safeguards and the student’s individual education program (IEP). The IEP is the cornerstone for the education of a child with ASD. When a student is determined eligible for special education services, an IEP planning team is formed to develop the IEP and subsequently determine placement. Although clinical diagnoses, psychiatric reports, and treatment recommendations can be helpful in determining eligibility and educational planning, the provisions of IDEA are the controlling authority with regard to decisions for special education. While clinical information is professionally helpful, it is neither legally required nor sufficient for determining educational placement. Therefore, it’s especially important for administrators, parents, advocates, teachers and non-school professionals to keep in mind that when it comes to special education, it is state and federal education codes and regulations (not clinical criteria) that determine eligibility and IEP planning decisions. Legal and special education experts recommend the following guidelines to help school districts meet the requirements for providing legally and educationally appropriate programs and services to students with ASD.